Fans of enduro riding have likely seen videos of the Red Bull Romaniacs competition on Youtube. Other similar challenging rides are the Erzberg Rodeo staged in an open-pit mine in Austria or Hell's Gate in Deer Creek in the US. One of the names that consistently conquers them is Chris Birch, a rider from New Zealand. The world-renowned Kiwi off-road riding coach is coming to the Philippines and bringing his famed Chris Birch Off-road Clinic with him. The event will be made possible by Bikerbox Inc., the official distributor of Mitas Tires here in the country. "We will start the year strong to promote off-road riding and skills enhancement to the local ADV communities in the Philippines," said a statement from Bikerbox. 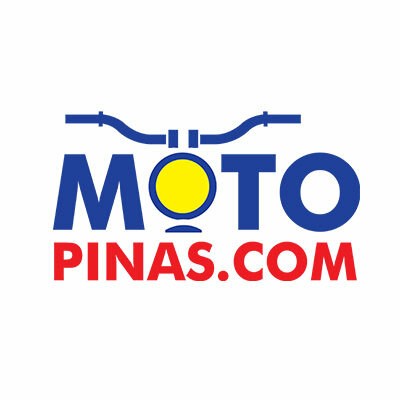 "This marks the beginning of more offroad training / clinics for 2019 for the benefit of all local riders in terms of skills enhancement and riding education through Mitas-KRB Off-road Track (Manila) and Mitas-Mindanao Enduro." The Chris Birch Off-road Clinic will be held at the Mitas-KRB Offroad Track in Rizal from January 24-26, 2019. This 36-hectare facility for sports and recreation was developed by Bikerbox and Mitas Tires Philippines. It will then head south to the Mitas-Mindanao Enduro Park in Cagayan de Oro, at the Brgy. Bagocboc, Municipality of Opol, Province of Misamis Oriental. This facility was developed by Norminring Motorbikes and Mitas Tires Philippines. The clinic will be held from January 28-29, 2019. Registration is required as slots are limited. Participants can expect to pay a fee of P25,000. For those not too familiar with who Chris Birch is, he is the current and 8-time New Zealand Enduro overall champion, 3-time Roof of Africa winner, and has been on the podium 7 times at Red Bull Romaniacs including winning it in 2010. He has competed successfully in the world’s biggest enduro races like Erzberg, Red Bull Last Man Standing, Hell's Gate, ISDE, WEC and EEC. Chris is New Zealand’s most successful Dakar Rally competitor finishing 27th and second in the rookies class in 2012. Chris has ridden and raced in over thirty countries and has a thirst for adventure. Chris has been teaching off-road clinics since 2007, initially as a way to raise funds to compete outside of New Zealand and now runs his coaching business full time. His background as a mechanical engineer allows him to break down the physics of riding and describe the techniques in detail. Chris now runs riding clinics for all levels of riders, from those who are new to the sport up to experienced racers. Turn the Yamaha YZF-R3 or R25 into a retro custom with the GG Retrofitz Rocket Street body kit.